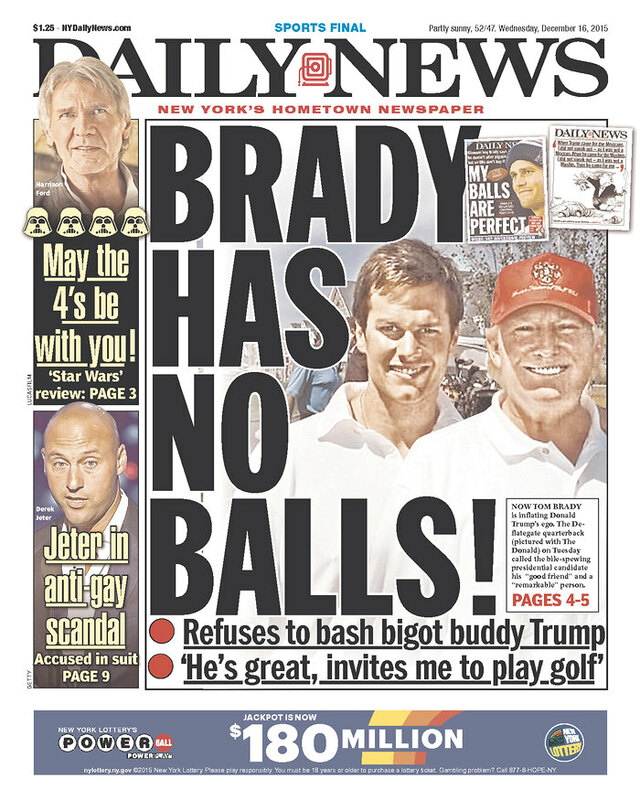 Despite his concerted efforts to dodge questions about his good buddy Donald Trump, New England Patriots quarterback Tom Brady gets sacked today by the New York Daily News. This entry was posted in Uncategorized and tagged Donald Trump, New York Daily News, Newseum, Tom Brady. Bookmark the permalink.